Cryoablation, also called cryotherapy, is defined as therapeutic tissue destruction by freezing. 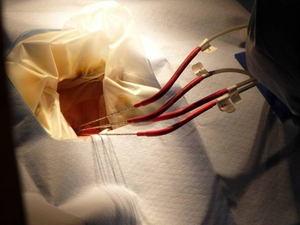 It is a minimally invasive (percutaneous) thermal ablation technique that can treat kidney, bone, liver, lung, adrenal, and prostate lesions. It is particularly useful in treating tumors near critical structures. 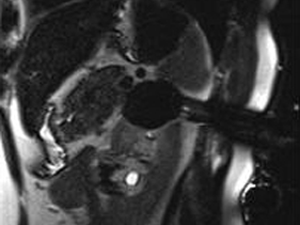 The visibility of the iceball intra-procedurally under MRI-guidance is a significant advantage of this technique. 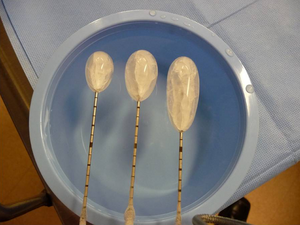 Cryoablation in AMIGO is performed using an argon gas-based system (CryoHit, Galil Medical, Arden Hills, MN). 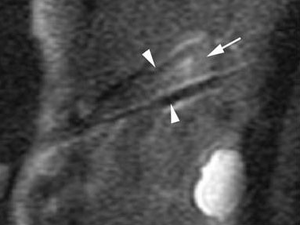 Under MRI-guidance, 17-gauge cryoablation probes are placed by an attending interventional radiologist with the assistance of a clinical fellow-in-training. MRI scans are performed during each of four phases of the procedure: planning, targeting, monitoring, and survey. Planning. 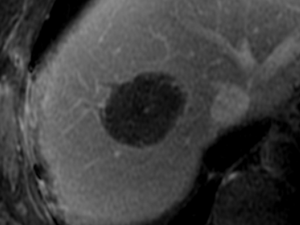 An initial planning MRI scan of the tumor is obtained. This scan allows the interventional radiologist to choose how many probes will be used and where to enter. Planning. The number and positions of the probes are chosen based on the size of the tumor so that the resultant iceball will encompass the tumor plus a minimum 5-10 mm margin all around. Here, you can see different probes and their iceball sizes. No argon leaves the probe; it is confined in the probe and becomes extremely cold so as to generate the iceball. Targeting. Targeting phase of placing four probes. Freezing begins only after probes are placed in ideal locations using MR guidance. Targeting. 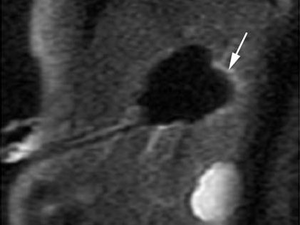 Multiple MRI scans are taken during the targeting phase to assure proper location of the probes in the tumor and with the cryoprobes, ideally, approximately 1.5 cm apart. Monitoring. In the monitoring phase, cryoablation probes are activated simultaneously. 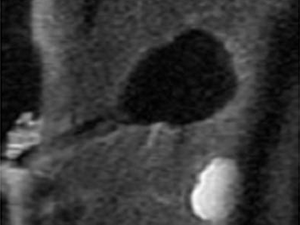 The iceball generated during cryoablation will appear as a signal void (black in color) under MRI-guidance. 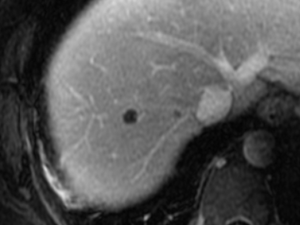 Monitoring is used to confirm that the iceball has encompassed the tumor plus a margin. If necessary, a lower power can be used to prevent damage to adjacent critical structures. Monitoring: Iceball formation. The cryoablation protocol consists of a 15-minute freeze (argon gas), followed by a 10-minute thaw (helium gas), followed by a second 15-minute freeze. 3) Vascular stasis → Local tissue ischemia. Formation. Iceball is monitored by MRI scans. Scans are made every 3 minutes during each freeze to watch the iceball grow and assess nearby critical structures. Formation. 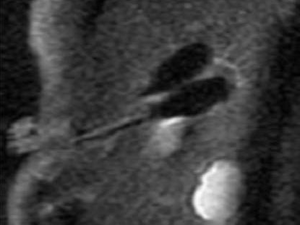 Upon completion of the cryoablation protocol, the probes are removed and a final MRI scan acquired to survey the ablation site for possible complications.